In France there are different types of train network “reseau des trains”. 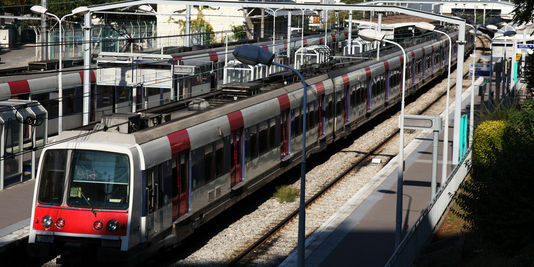 In Paris such as there are the suburbs train “train banlieue”, the regional train and the high speed train “le TGV”. These are all public transportation “transports en commun”. In reference to the train network you will hear expression such as SNCF transilien, SNCF and RATP. 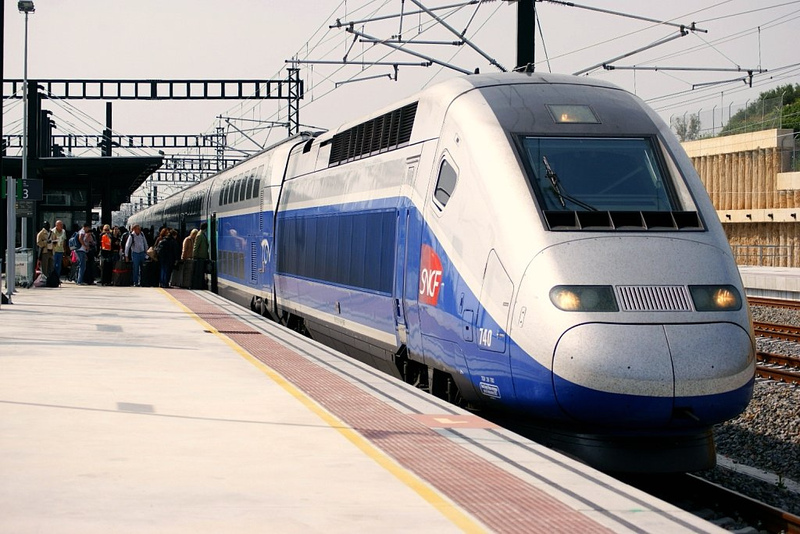 If you wish to buy a train ticket within the Paris Area (known as Ile-de-France) you can buy single train tickets. For these trains it is not necessary to make a reservation and youcan buy your ticket at a ticket window (French = quichet) or a ticket machine (French= la billetterie automatique) just before the train arrives. If you live with Ile-de-France and travel by train often you can get a weekly or monthly pass known as a “Pass Navigo ”. You can recharge your Navigo at a “quichet” or at “la billetterie automatique”. 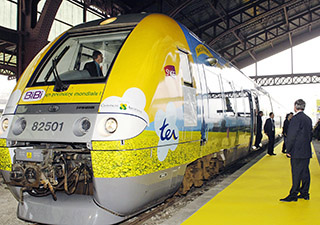 For the regional train or high speed train ” Le train grande vitesse= le TGV”, you will need to make a reservation. Reservation can be done at a “quichet” or you can do it online “en ligne“. To know the hours of the train you can look check online or you can look at the arrival board =“le panneau d’afflichage”.If you have to change trains, you have a “une correspondance”.You wait for the train on the platform “quai du train” and the train arrives on the track “ la voie “. Before going on the train you will need to validate your ticket. You will also need to show your ticket to a “controller”, who will check if your ticket is valid and validated.Trains in France are often stopped if there is a technical problem ” un incident techniques” or the workers are on strike “une greve” .